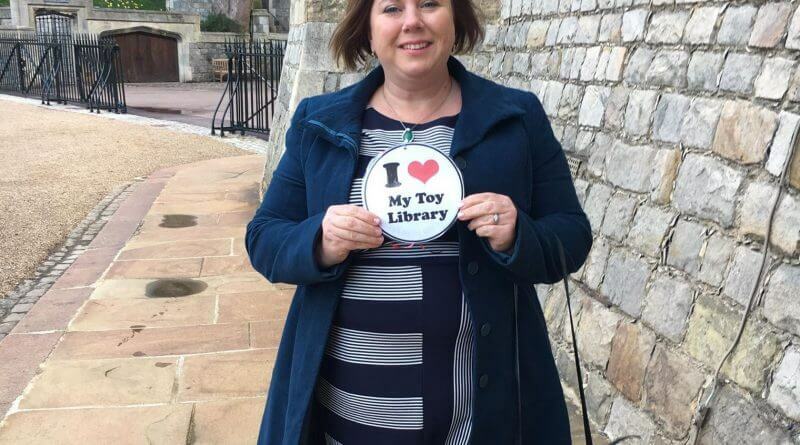 It was champagne and canapes instead of toys and a cuppa as Ann-Marie McMillan, the founder of Derbyshire Toy Libraries, visited the Queen at Windsor Castle at the start of April. On the 2nd of April Ann-Marie McMillan, the founder of Derbyshire Toy Libraries, joined 200 other charities who were invited to a reception hosted by The Queen to celebrate 100 years of National Council for Voluntary Organisations voluntary work. On the day the Queen, accompanied by other Members of the Royal Family such as Princess Anne, held a reception for a select group of volunteers and charities to reward their hard work and dedication to the community. The Derbyshire Toy Library is a charity that aims to provide support and resources to parents and carers in the Derbyshire area. It offers regular stay and play sessions for babies, toddlers and pre-schoolers where parents and carers can borrow toys and games for a minimal amount. The NCVO, National Council for Voluntary Organisations, represents and supports over 14,000 voluntary organisations of all sizes, from the biggest household-name charities to the smallest community groups. The reception marked the centenary of the NCVO, whose work goes all the way back to WW1. If you would like to know more about the Derbyshire Toy Library you can visit their site here.